In April 2010, it announced plans to archive all public communication on Twitter, including all communication since Twitter's launch in March 2006. As of 2015, the Twitter archive remains unfinished. 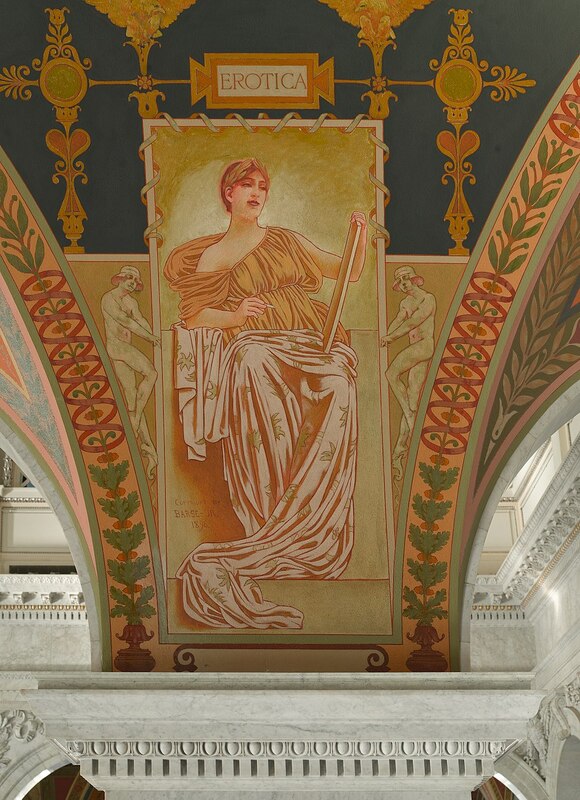 The Library of Congress Classification (LCC) is a system of library classification developed by the Library of Congress. It is used by most research and academic libraries in the U.S. and several other countries.LCC should not be confused with LCCN, the system of Library of Congress Control Numbers assigned to all books (and authors), which also defines URLs of their online catalog entries, such as "82006074" and "http://lccn.loc.gov/82006074". The Classification is also distinct from Library of Congress Subject Headings, the system of labels such as "Boarding schools" and "Boarding schools—Fiction" that describe contents systematically. Finally, the classifications may be distinguished from the call numbers assigned to particular copies of books in the collection, such as "PZ7.J684 Wj 1982 FT MEADE Copy 1" where the classification is "PZ7.J684 Wj 1982".The classification was invented by Herbert Putnam in 1897, just before he assumed the librarianship of Congress. With advice from Charles Ammi Cutter, it was influenced by his Cutter Expansive Classification, the Dewey Decimal System, and the Putnam Classification System (developed while Putnam was head librarian at the Minneapolis Public Library). It was designed specifically for the purposes and collection of the Library of Congress to replace the fixed location system developed by Thomas Jefferson. By the time Putnam departed from his post in 1939, all the classes except K (Law) and parts of B (Philosophy and Religion) were well developed. In 2007 The Wall Street Journal reported that in the countries it surveyed most public libraries and small academic libraries used the older Dewey Decimal Classification system.The National Library of Medicine classification system (NLM) uses the initial letters W and QS–QZ, which are not used by LCC. Some libraries use NLM in conjunction with LCC, eschewing LCC's R for Medicine. Others use LCC's QP–QR schedules and include Medicine R.
THOMAS was the first online database of United States Congress legislative information. A project of the Library of Congress, it was launched in January 1995 at the inception of the 104th Congress and retired on July 5, 2016; it has been superseded by Congress.gov. The WDL has stated that its mission is to promote international and intercultural understanding, expand the volume and variety of cultural content on the Internet, provide resources for educators, scholars, and general audiences, and to build capacity in partner institutions to narrow the digital divide within and among countries. It aims to expand non-English and non-western content on the Internet, and contribute to scholarly research. The library intends to make available on the Internet, free of charge and in multilingual format, significant primary materials from cultures around the world, including manuscripts, maps, rare books, musical scores, recordings, films, prints, photographs, architectural drawings, and other significant cultural materials.The WDL opened with 1,236 items. As of early 2018, it lists more than 18,000 items from nearly 200 countries, dating back to 8,000 BCE.